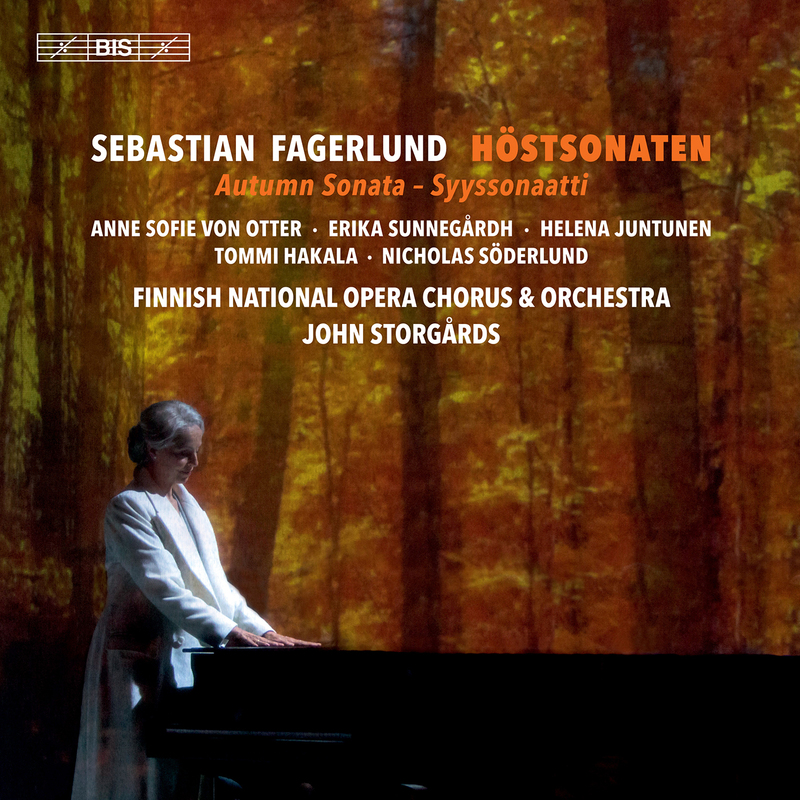 Sebastian Fagerlund has made a name for himself primarily through his concertos and orchestral works. As demonstrated on previous recordings, his music displays a huge range of colours and an uncommon rhythmic vitality, as well as a sure feel for instrumental writing. He has nevertheless also composed a number of vocal and choral works, and in fact the first release on BIS of his music was the opera Döbeln (2010), based on a controversial figure in the war between Sweden and Russia in 1788-90. When Fagerlund received a commission for a second opera from the Finnish National Opera, he found his inspiration closer to our own time as well as to his own field. Ingmar Bergman’s 1978 chamber drama Höstsonaten (Autumn Sonata) tells of the celebrated pianist Charlotte Andergast, and how she is confronted by her daughter Eva, who accuses her of neglect and self-absorption. Bergman’s screenplay has been used as basis for numerous stage productions, but this is the first adaptation for opera. 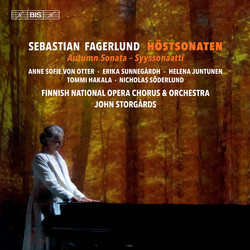 Höstsonaten was premièred at the Finnish National Opera in Helsinki in 2017, with Anne Sofie von Otter as Charlotte – the role for which Ingrid Bergman was nominated to an Oscar as best actress. She is supported by a cast including Erika Sunnegårdh, Helena Juntunen and Tommi Hakala, and the chorus and orchestra of the Finnish National Opera conducted by John Storgårds.